WhatsApp Messenger, your favorite cross-platform mobile messaging app is almost available to use on all smartphone operating system. But still in this generation some of the people having JAVA Phones have difficulties in finding a proper WhatsApp installation file to install it on their Java Phones, so we thought to provide proper instructions to download WhatsApp for Java Phones. Some of the Java Phone users are still in a myth that they can’t use WhatsApp Messenger on JAVA Phones, but that not the truth on Java Phone you can Install WhatsApp without any problems just you need to have the proper installation files of WhatsApp for Java. On the Official Website you will find WhatsApp for Android, Windows Phone, iPhone, BlackBerry, Nokia Symbian, Nokia S40, and Nokia S60 but you will not find WhatsApp Messenger for Java Phones on Official Website as officially WhatsApp Messenger is only available for selected Java Phones. Though Officially WhatsApp Messenger not available for Java Phones but we have a method with which you can enjoy WhatsApp Messaging on any of your Java Phones. First of all to Install WhatsApp on Java Phone you will need WhatsApp.jar or WhatsApp.jad file which you can download from below given links. Copy any of these WhatsApp Files onto your Java Phone by connecting your phone to PC through USB data cable. Once you copy the files just eject your device and try to install the WhatsApp Messenger on your Java Phone by opening WhatsApp.jar or WhatsApp.jad. Now you will be able to access and enjoy WhatsApp Messenger to send messages, share pictures, videos, etc. to your friends. 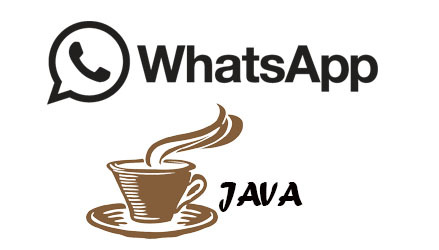 (To be able to use WhatsApp on Java Phone you should have 3G or WiFi Connection enabled). Hi, my nokia c2 02 says that the clock may be bad, but its ok (5/12/2014). You know what can i do to fix it? Check whether your time zone settings and time is correctly set. Try updating the app and if still it doesn’t works you may have to factory reset or restore your bada device. Just download the app and you will get the option to register (Hanya men-download aplikasi dan Anda akan mendapatkan pilihan untuk mendaftar. ).